3 ml of solution, about 50 tests. Take a common translucent water drinking glas and place it upside down. 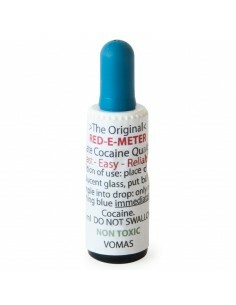 Place now one drop of the Red-E-Meter cocaine testing solution on the bottom and add a knife point of the sample into the drop. 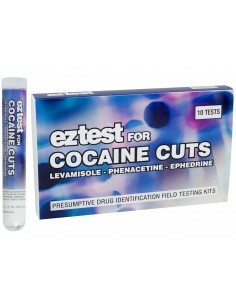 All immediately turning blue is cocaine, all the rest is cut-off. 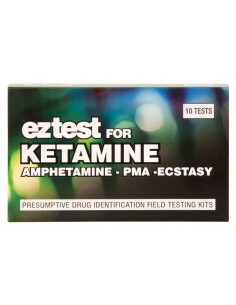 The MDMA Purity Test enables you to quickly get an idea about the purity of a sample, in other words: how much of this sample is really MDMA or Molly. With an accurate scale, a little time and your phone you can then calculate how much MDMA is in a sample. 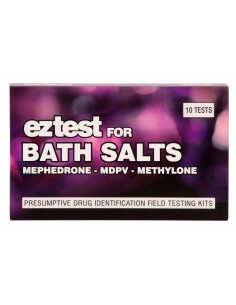 This is the only test currently available that can do this and it is relatively easy to do. 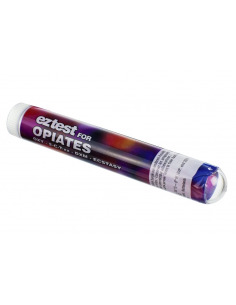 This test reveals, within minutes, whether a pill contains Ecstasy (MDMA), 'XTC', 2C-T-2/4/7/21, MBDB, DXM, Oxycodone, Hydrocodone, Opiates. Determine the purity of the heroin quickly. With heroin, the bottom layer shows a yellow/orangey color and gets darker when there is more heroin present. You will have your result within seconds! 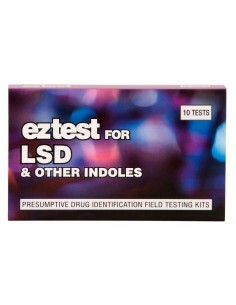 Contains 1 test, detailed instructions and a color chart.